During summer I have more down time than usual. So this is when I get ambitious ideas about learning new crafty skills. 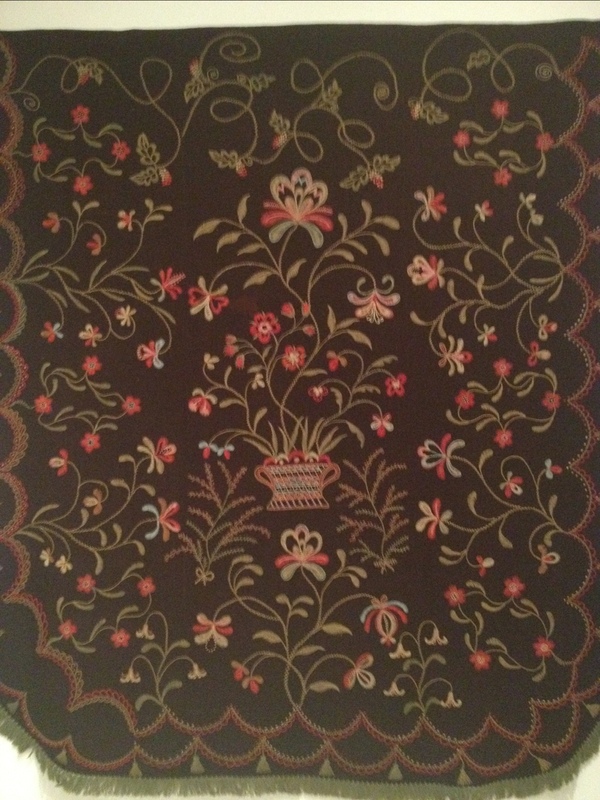 In late April, I had the opportunity to see a small exhibit on American textiles at the Art Institute of Chicago. It was really cool to see how various handcrafts like quilting, weaving, and embroidery evolved during the industrial revolution. The second I don’t have a picture of, unfortunately. 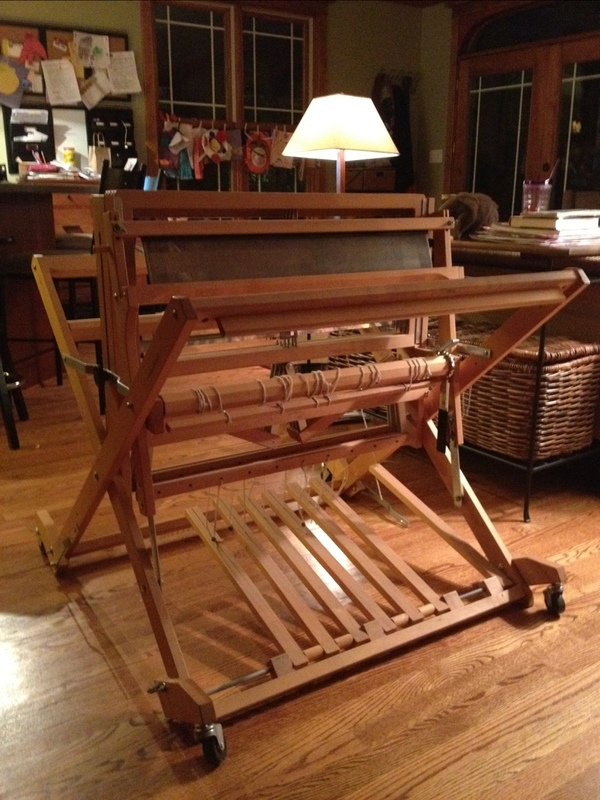 It was a lovely handwoven blanket from 1800, seamed up the middle because the hand loom widths were max 26 or 30 inches. I now know that it was a “classic” American coverlet with an overshot pattern. First, I messed around some on it with leftover sock yarn. Then I let my daughter S cut the sock yarn sampler off of the loom and have it for a baby blanket. 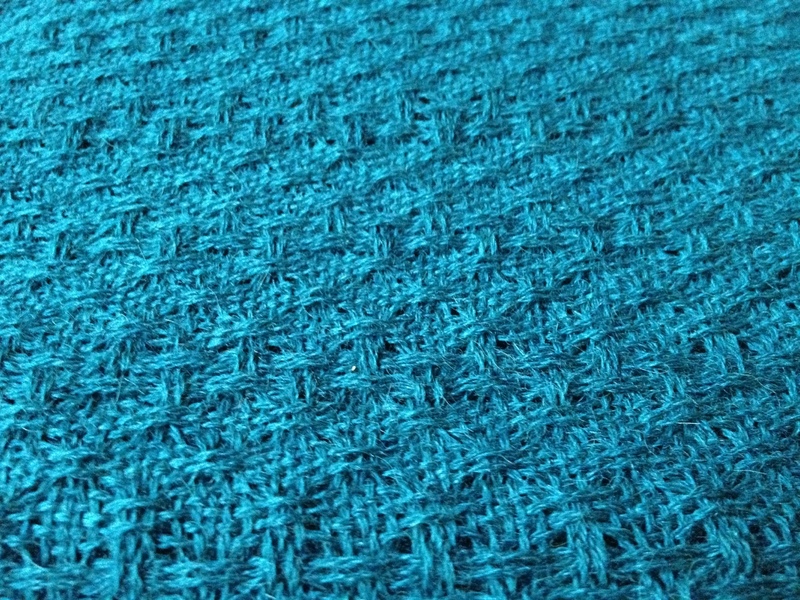 I remembered that I had a cone of teal alpaca silk lace weight from WEBS in the stash. Below are a couple of pictures of a wide stole using a huck pattern that I adapted from handwoven. 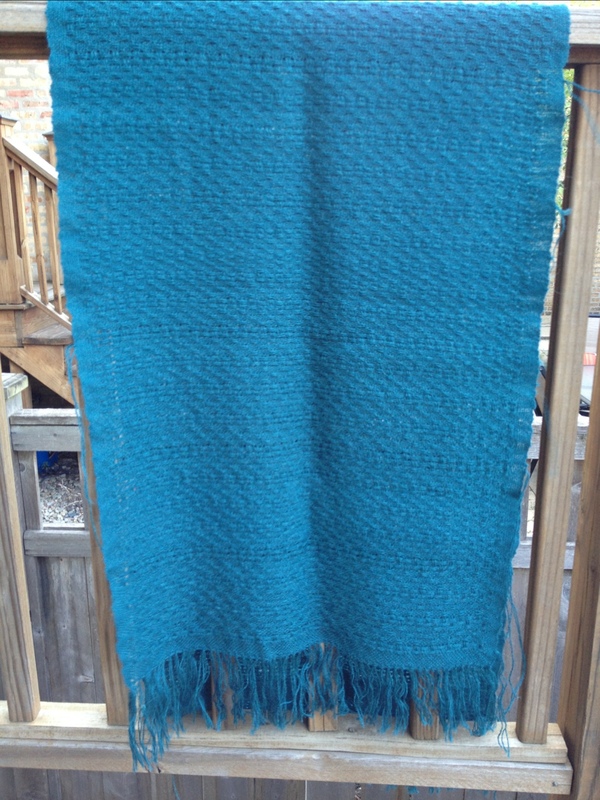 I still need to weave in the ends, but I’m pretty happy with my first “real” woven item from the floor loom! Beautiful stole. I love that colorway. Congrats on getting into the thick of a new craft.